Effective June, 2016, Deedra Hughes will be the President of the Board of Directors. Deedra is the founder of Hughes Media, a digital marketing agency, launched in Atlanta in 2000. Deedra has been involved with the school since its establishment in 2007, when she offered the services of her agency. The school has continuously used these services since this time, including the design of a complete image package, website and all of our SEO. She is a member of the following professional organizations: Vistage, the Atlanta Marketing Association, and the Search Engine Marketing Professional Organization. Deedra joined the board in 2013. Manny is currently a Partner at Arora & LaScala Trial Attorneys, and was a former adjunct professor at Georgia State University School of Law. As one of the most recognized names in criminal defense and sports law in the Southeast, Manny Arora brings structure and analytics to The Board. Manny continues to serve in the U.S. Armed Forces as a Lt. Colonel in the Air Force Reserve, where he also serves as a monthly columnist for the USAF publication, The Minuteman. Manny is also the parent of a Cumberland student. He has served on The Board since 2009. 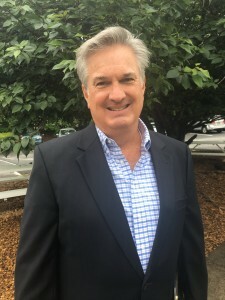 Jeff is the Senior Vice President for Fox SportsSouth and responsible for all Fox sports television in the Carolinas and Tennessee which includes sports production, marketing, advertising sales and rights negotiations. In addition to Fox, Jeff worked for the Olympic Committee and brings to Cumberland a fresh perspective on education and entry into the workplace for our students. An innovative thinker, Jeff brings opportunities for advancement and promotion of Cumberland. He is a graduate of Michigan State University and an EMMY Award winner. Joining the board in 2017, Jeff serves on the marketing and fundraising committee. Gannon comes to us with experience in dealing with legislative issues and keeping apprised of current bills that affect the educational aspect. She also has extensive experience in fundraising efforts and is involved with our fundraising committees. She has served as one of our founding board members since 2007. 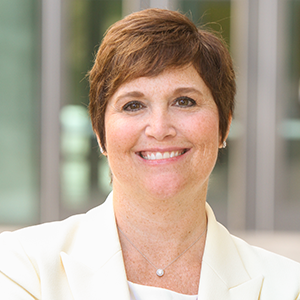 Wendy F. Hensel, dean and professor of law, teaches and writes about disability law, policy and ethics in American society at Georgia State University. An expert on employment discrimination and special education, she frequently is invited to speak on these topics around the country. Hensel graduated with honors from Harvard Law School and clerked for Judge Orinda Evans of the U.S. District Court for the Northern District of Georgia. She is a passionate advocate for people with disabilities and serves on the board of directors for several organizations committed to their full inclusion in society. Wendy joined the board of Cumberland Academy of Georgia in the summer of 2017. Robin Howell is one of the founders of Crimson Capital Corp., an international financial consulting/management company operating in 16 countries. She currently serves as the Director of Finance and Operations. She previously served as Director of Finance for Tigera Group, a publicly traded company, (formerly Fortune Computer). She has over 30 years of experience in financial analysis, operations and corporate governance. She holds a B.S. in Business and Accounting from University of South Carolina. Robin joined the board in 2014. 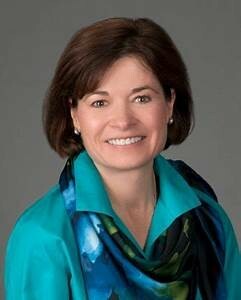 Kristen Lewis has extensive experience in estate planning and wealth protection, “Special Needs Trusts,” estate administration, guardianships, fiduciary matters, trusts for pets, and charitable giving techniques. Kristen is nationally recognized for her proficiency in Special Needs Trust planning for persons challenged by disabilities and is a frequent speaker and author on this topic. She is a Fellow of the American College of Trust and Estate Counsel (ACTEC), and an active member of the Special Needs Alliance, where she has recently served as Co-Editor of that organization’s monthly e-newsletter, The Voice. She is also a member of the Academy of Special Needs Planners, the National Academy of Elder Law Attorneys, the American Bar Association, the New York Bar Association Elder Law Section, and the State Bar of Georgia Fiduciary Law Section. Kristen joined Cumberland’s board in March of 2019. 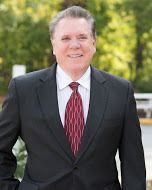 Jim is an Atlanta native and is currently a partner with Lee & Associates Commercial Real Estate Partners. Through his business, Jim has invested hours of time and energy to support many local, regional and national non-profit organizations in the past 20 plus years. Jim has worked extensively on the Cumberland board and currently serves as the Chairman of the Fundraising committee and Vice Chair of the Search committee. He has served on the board since 2012. Debbi is the guiding force behind the origination of Cumberland Academy of Georgia. Debbi was the president of Kreisler and Associates, LLC for over 35 years. She uses her leadership skills everyday as Headmaster of Cumberland. Debbi served as the school’s first board president and was also an active board member of the March of Dimes for over 15 years. Matthew’s responsibilities are to ensure the Board is structured to best utilize the experience and skills of our outstanding board members. Matthew directs Cumberland Academy of Georgia in property and liability insurance matters, as well as 401k, Health, Life and Disability benefits. Matthew is a co-founder of Cumberland and has proudly served on the board since the origination of the academy in 2007. 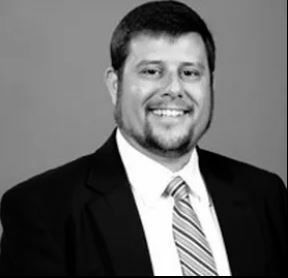 Michael Stern comes to Cumberland with extensive experience with start up entities. He co-founded Lamon & Stern in 1991, a broker dealer specializing in the 401k’s of large privately held companies. He is currently the president of Stern Consulting, a consulting firm that assists start-up companies. He also serves as the Chief Financial Officer of 4 Seasons Landscape Group which is one of the largest landscape companies in Atlanta. Mike is currently an industry arbitrator for FINRA, the self regulatory agency for the financial industry. He served four terms as a board member of the Standard Club. A graduate of Tulane University, Mike is a published author having written six reference books on early Disneyanna and Beatles memorabilia. Cumberland welcomed Mike to the board in 2016. Valery Voyles is the Chairman/CEO for the Ed Voyles Automotive Group which operates six stores in the metro Atlanta area. An Atlanta icon, Ed Voyles Automotive Group has been in business for over 60 years. Valery’s leadership skills and experience with business and non-profit organizations have contributed greatly to Cumberland. Her community involvement helps our voice in the community, and Valery’s experience with other educational institutions brings fresh ideas to Cumberland. She is an active board member for several Atlanta boards such as the Shepherd Center Foundation and ArtsBridge Foundation. Valery has served on Cumberland’s board since 2007. Mr. Nate L. Warner is the driving force behind Warner Architectural Associates continued success. His motivational management style and leadership expertise have proven successful time and time again. His role as Executive Vice President allows him the ability to control financial growth and build lasting relationships with current and future clients. His reputation with Clients, General Contractors, Developers, and Design Build Companies has earned him the ability to work positively with current and future clients alike. 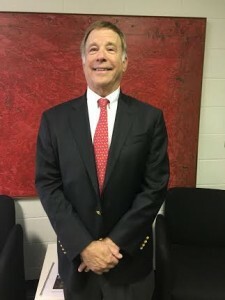 Nate joined the Cumberland Board in March 2019. Allen has the ability to help us with our curriculum and partner with GSU to work with our children. The success has already been proven with the team building efforts. Allen also provides direction on allocating funds for outside projects for our life skill area. He brings us teaching/coaching ideas to our staff. Allen has made a strong commitment to help Cumberland with donations from other schools (e.g. used equipment, etc). Allen has served on The Board since 2008.